The gap between developed and developing countries in their ability to attract and retain skilled workforces has gone up over the last five years, a business school executive told EURACTIV on Monday (21 January) at the World Economic Forum in Davos. 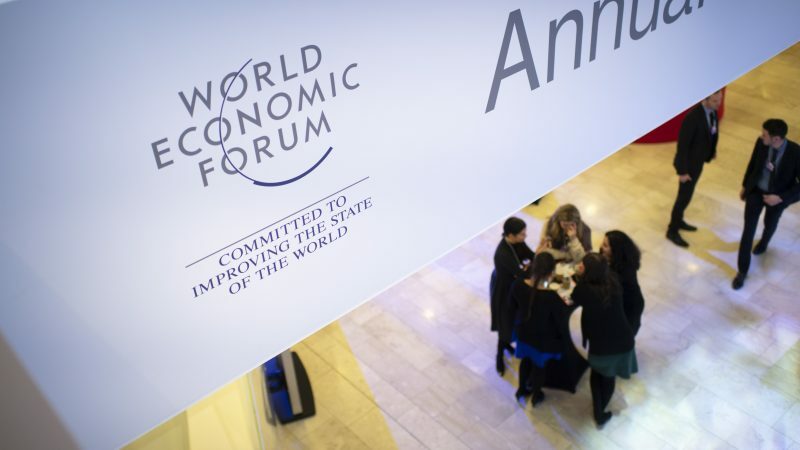 “What our analysis from the past six years shows is that the competitive gap between developed and developing countries has increased,” Bruno Lanvin, Executive Director of business school Insead’s Global Talent Competitiveness Index, said. Business school Insead, India’s Tata Communications group and the Adecco Group jointly released the sixth annual Global Talent Competitiveness Index (GTCI) on Monday (21 January). The GTCI measures how countries and cities grow, attract and retain talent, ranking 125 countries and 114 cities across all groups of income and levels of development. “In other words, the study identifies the ways in which large and small firms, nations, and cities can foster entrepreneurial talent in the era of digital transformation,” Lanvin explained. Switzerland tops the index, followed by Singapore, the United States, Norway and Denmark, with Germany and France ranking respectively 14th and 21st. As for cities, Washington, DC becomes the top performing city in the world, followed by Copenhagen, Oslo, Vienna and Zurich. “Cities are proving to be more nimble than countries as they are developing stronger roles as talent hubs,” Lanvin said, pointing out that the growing importance of cities is due to their greater flexibility and ability to adapt to new trends and patterns. Asked why developing countries are increasingly losing attractiveness towards young and skilled forces, Bruno Lanvin highlighted the absence of continuity in their education policies. “What we see in many emerging economies is a stop and go process in education policies,” he said. “The index will show that some emerging countries will increase their ranking five, six years in the row. And then it stops. That’s because you would have a minister saying he wants to inject money in education and then another minister will follow and stop the whole process,” he continued. Lanvin also said that there is a cumulative effect that benefits developed countries. “If you are a place or a country that is good at handling talents, you provide business opportunities, a good quality of life, a good infrastructure, and words of mouth works,” he said. To the question as to how to reverse the situation, Bruno Lanvin took South Korea as an example. “In the 1960s, South Korea was among the world’s least developed country. It had the same per capita income as Ghana. What did South Korea do? It invested in education and technology. That is the secret combination, and this example shows that it can be done,” he said. For Enrico Bonatti, Senior Vice President, strategy & sales operations at Tata Communications, the report shows a call to action to significantly improve infrastructures in developing countries. “Infrastructure, that is the key word. And there is a sustainable effort to be done when it comes to building infrastructure,” he told EURACTIV. “Not many countries are successful, even big emerging countries like Brazil or India. That’s because there is a long way to go, it takes years to create an infrastructure. And if there is no sustainable effort, this is where you have the yoyo effect,” he said. Whereas Scandinavian countries top the index, Germany and France respectively reached 14 and 21 in the ranking. “France and Germany are two economies that are both so similar and yet different,” Lanvin said. He said that France being such a centralised country, the decision process is top-down, whereas in Germany, the 16 Länder have more power, especially when it comes to education.